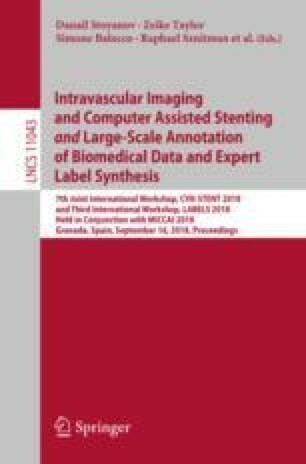 Supervised deep learning methods such as fully convolutional neural networks have been very effective at medical image segmentation tasks. These approaches are limited, however, by the need for large amounts of labeled training data. The time and labor required for creating human-labeled ground truth segmentations for training examples is often prohibitive. This paper presents a method for the generation of synthetic examples using cyclic generative adversarial neural networks. The paper further shows that a fully convolutional network trained on a dataset of several synthetic examples and a single manually-crafted ground truth segmentation can approach the accuracy of an equivalent network trained on twenty manually segmented examples. This work was supported by the National Institutes of Health grant number T35DK104689 (NIDDK Medical Student Research Fellowship).